What a great year 2018 was! 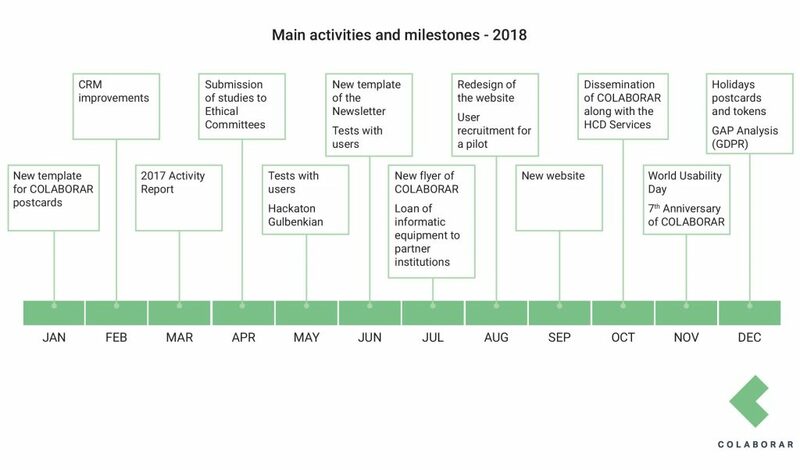 We share some main activities and milestones of the year that has just finished. We send a thank you message to each volunteer in the network without whom we could not make our work, to Fraunhofer AICOS’ researchers, including the ones of the Human-Centred Design group who challenge COLABORAR with requests for increasingly ambitious activities and for the high standards of good practices on research with older adults. We are ready for a 2019 full of new challenges!